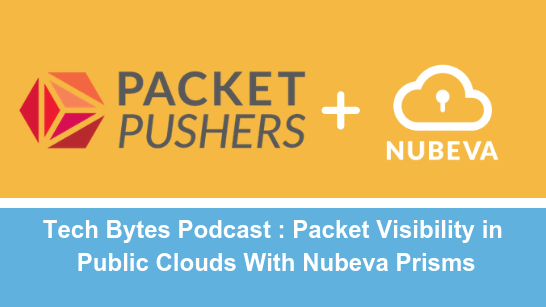 On today’s sponsored Tech Bytes episode we explore Nubeva Prisms, a public-cloud packet broker. With Nubeva Prisms you can get packet-level visibility into AWS and Azure (with GCP soon to come). Prisms acquires, processes, and distributes packets to your analyers, performance monitors, and security tools whether those tools reside in the cloud or on premises. We discuss how Prisms work, their packet processing capabilities, and their performance impact on cloud resources. Our guests are Steve Perkins, CRO and Head of Product; and Erik Freeland, Director of Customer Success.